Does your work involve the warehousing or storage of climate-sensitive items (food, drugs, archive media, museum exhibits, metal parts susceptible to rust film, etc.)? Or would you like to keep a check on the building climate, for example monitoring how your tenants use ventilation? Then continuous recording of temperature and humidity readings can be very useful for you. The testo 174H mini data logger for temperature and humidity provides you with competent support for this kind of measurement task. It may be small, but it achieves great (measurement) results. The current measuring values and any possible violations of limit values can be read on the mini data logger’s display. Its measurement data memory can reliably record up to 16?000 measuring values. Saved measurement data will not be lost even when the battery is empty or being replaced. 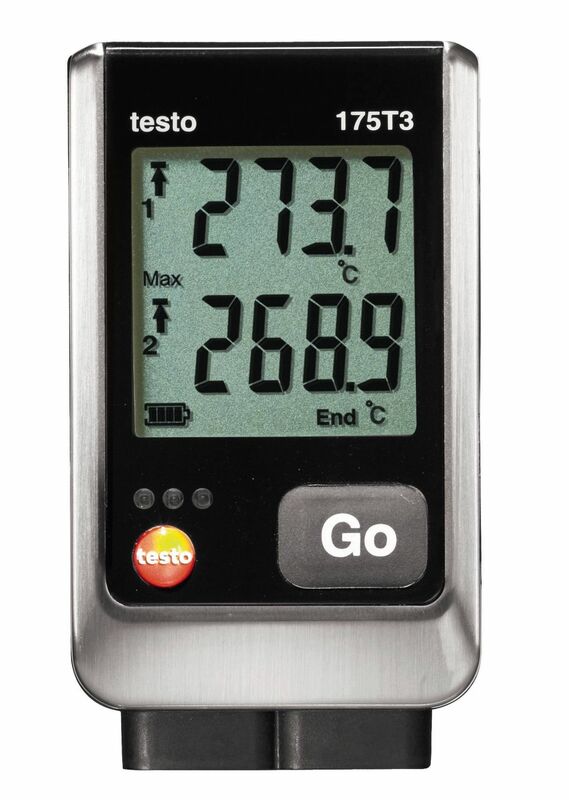 The testo 174H mini data logger has internal sensors which measure temperature and humidity. The humidity sensor is a capacitive Testo humidity sensor with long-term stability which has an accuracy of up to ±3 % RH when measuring humidity. With an accuracy of ±0.5 °C, the internal NTC temperature sensor is particularly high-precision and covers a measuring range from -20 to +70 °C. Particularly practical: the mini data logger runs on standard batteries (2x CR 2032) which you can replace yourself at any time. A USB interface is needed to programme and read your mini data logger for temperature and humidity. If you decide on this set, it includes a USB interface which means a speedy start for your measuring tasks. 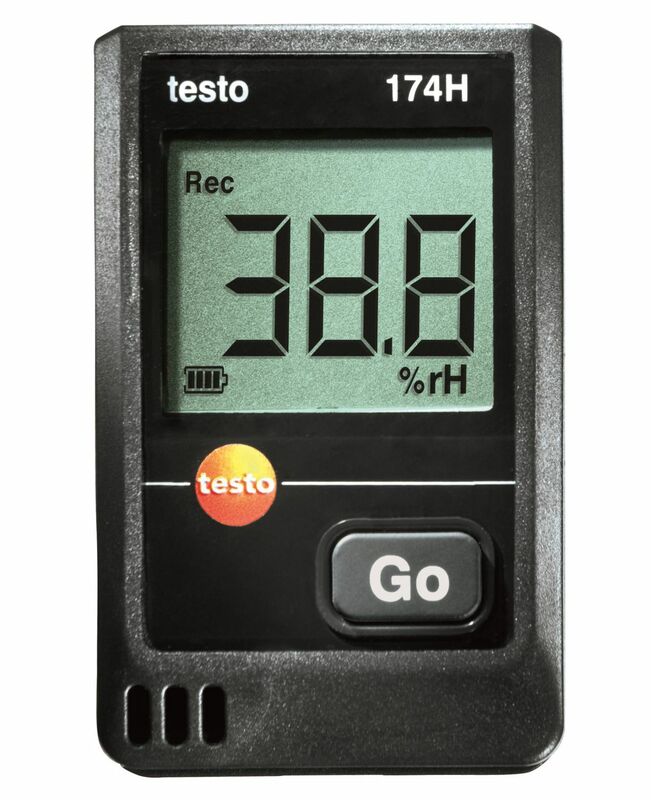 testo 174H mini data logger set for temperature and humidity, including USB interface for programming and reading the mini data logger, wall bracket, batteries (2 x CR 2032 lithium) and calibration protocol.